On Friday the 13th M and I went to a family dinner at the restaurant that we most frequently go to, as it is super close (two stops by public transport or a 15 minute walk) and we quite like what they serve there. This is the outfit that I was wearing. I decided to risk the chill and wear some cute shoes as I am so sick of all of my ankle boots! 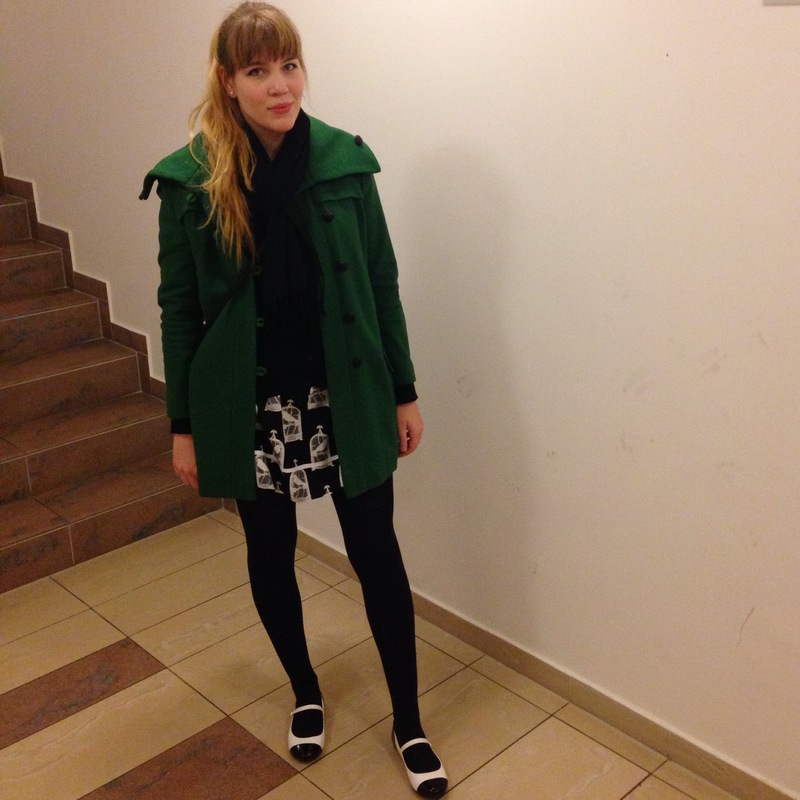 These are my Asos “Leap of Faith” black and white Mary Jane flats. I think they are just the cutest. They are very comfortable to wear and go with basically everything in my wardrobe (or almost everything). Unfortunately it was still a bit too cold for them and my feet felt really cold on the way to and from the restaurant. Because I didn’t have an outfit photo I made this collage instead. The dress is a lovely pale yellow and has a bird print all over and I love that my Asos wedge trainers perfectly matched the colors of the birds. I also wore black opaque tights and a black cardi. I really liked the outfit and will probably re-wear it again sometime, because I really like how the colors matched up. Although to be completely honest, if it had been warmer I would have chosen different shoes (as I’m so over ankle boots, but because I had nearly frozen in the shoes I was wearing to dinner, I chose more rationally when picking out what to wear out to the club.) But back to the dinner date outfit. I wore this amazing dress from Modcloth (All Eyes on Unique Dress in Birdcage). 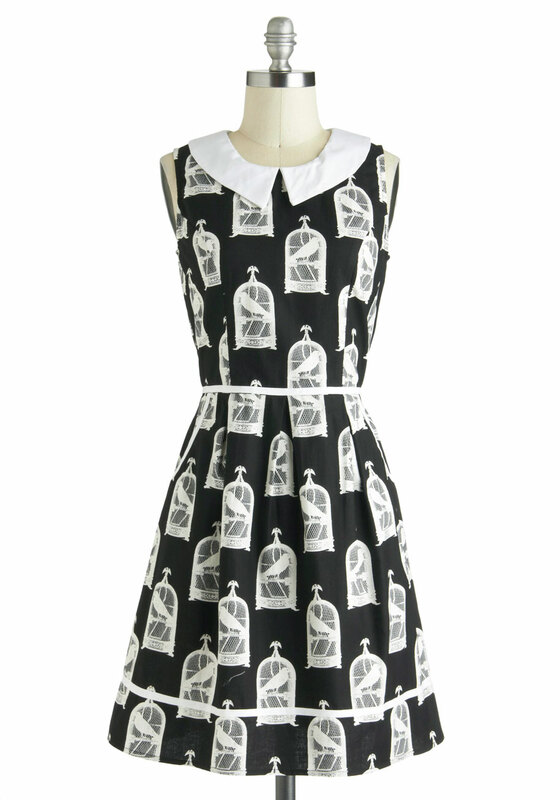 I love the oversized white collar and the birdcage print is so pretty. This was the first time I have worn it and it is a beautiful dress, I know it will get a lot more wear once it gets warmer (my motto lately). 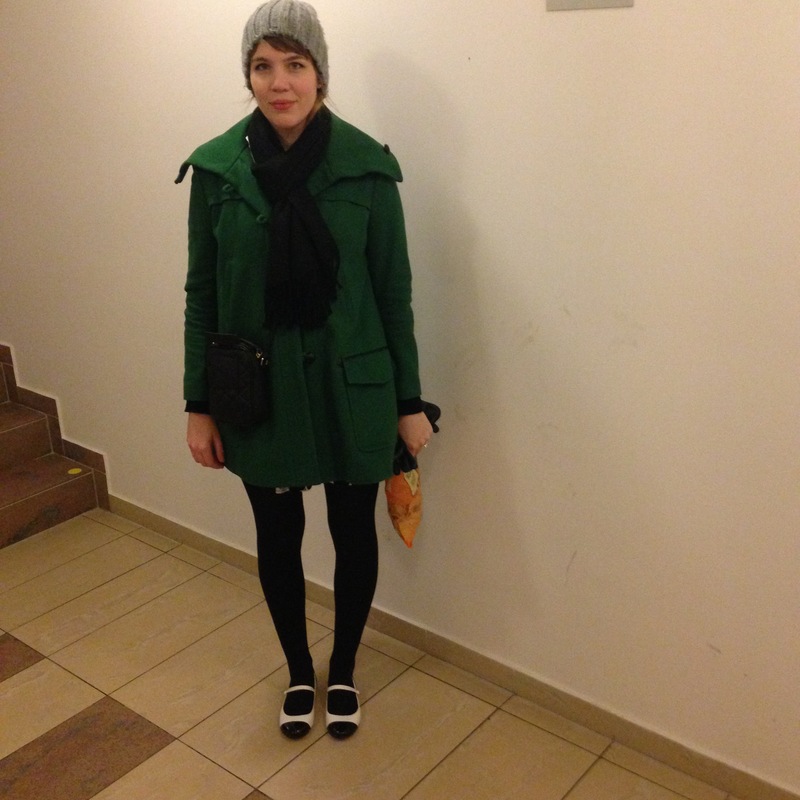 The green coat I wore is from Asos and is a couple years old. The dress is amazing and the shoes go well with it. I love monochrome everything. Both of those dresses are just beautiful, and I will say it again, I love those shoes that you are wearing. Both are gorgeous dresses! 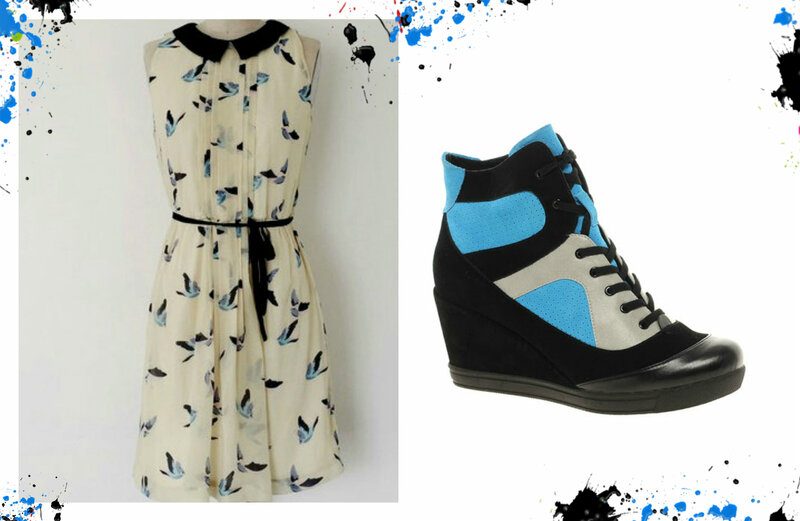 Those trainers are a perfect match for the bird one. Thank you, I know, right? I was shocked that I never noticed before.